The intense heat of a charcoal or gas grill gives foods a deeply savory flavor, but it isn't always the most practical way to cook. 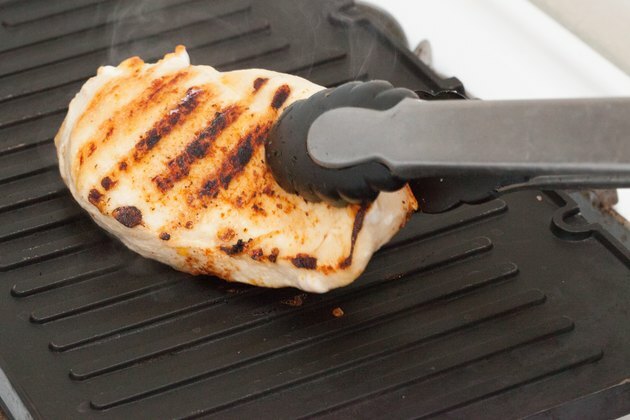 A ridged stovetop grill pan isn't an ideal replacement, but it's still a useful tool for preparing chicken and other meats when your outdoor grill isn't an option. The grooves of your pan let fat drip away as it would on the grill, but don't radiate intense heat like the flame from a grill. That's why pan-grilling works best with boneless portions, which cook more quickly and evenly. 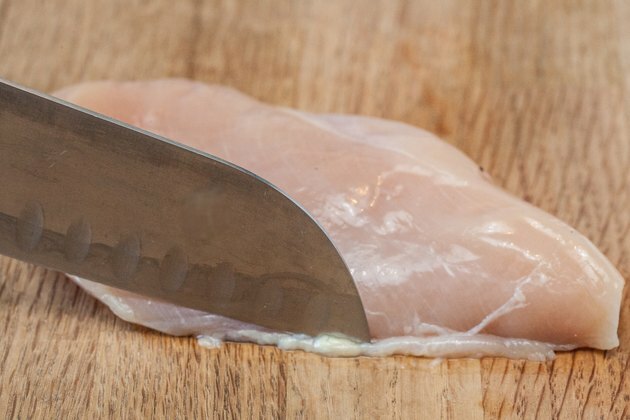 Remove any loose pieces of fat, tendon or bone fragments from your chicken pieces with the tip of a sharp knife. Season the chicken pieces with salt and pepper, or your favorite spice rub. For a deeper flavor, cover the chicken and refrigerate it overnight. This provides time for the flavorings to infuse into the flesh. 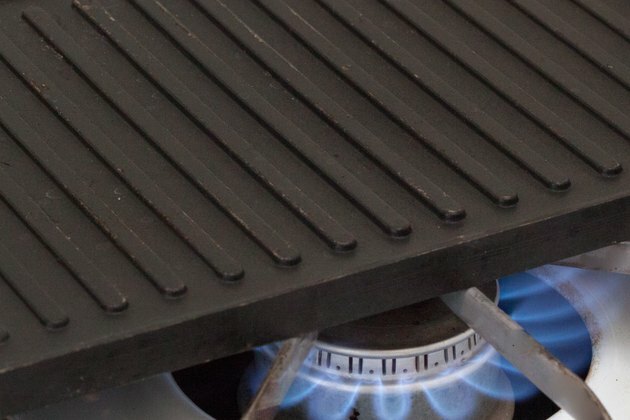 Preheat your grill pan over a medium-high burner until it's very hot. You should be able to see heat waves shimmering above it, and if you hold a hand over the pan, it should quickly become uncomfortably hot. 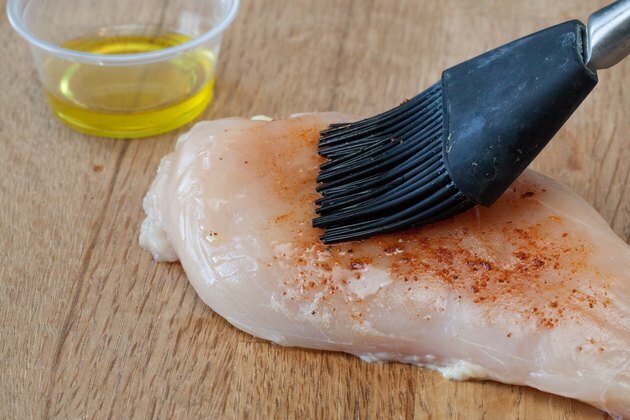 Spray or brush the chicken pieces with a high-temperature oil such as safflower or avocado oil, then place them on the grill pan. They should go skin-side down, even if they're skinless. Reduce the burner to a medium setting. Cook the chicken pieces on the first side for 3 to 4 minutes, until they're well-marked by the grill pan's ridges. Carefully lift the pieces with tongs and turn them, cooking for another 5 to 7 minutes on the second side. 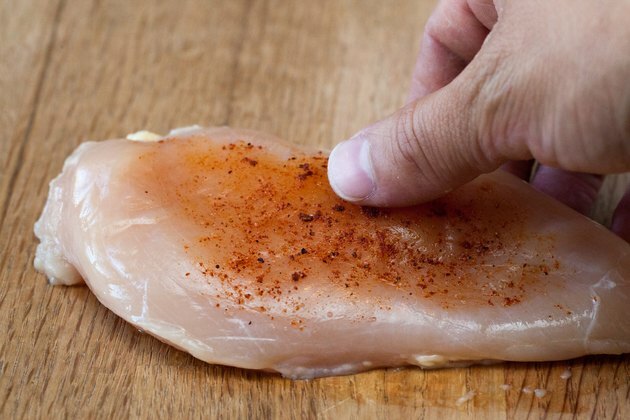 Remove the chicken pieces from your grill pan to a serving tray. Cover them loosely, and let them rest for at least 5 minutes before serving. 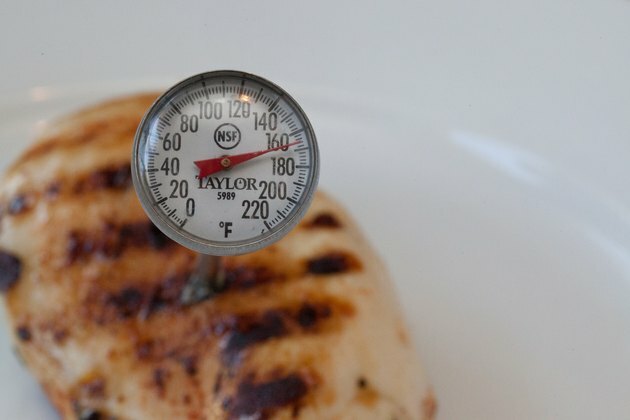 When tested with an instant-read thermometer, the pieces should show an internal temperature of 165 degrees Fahrenheit to be food safe. 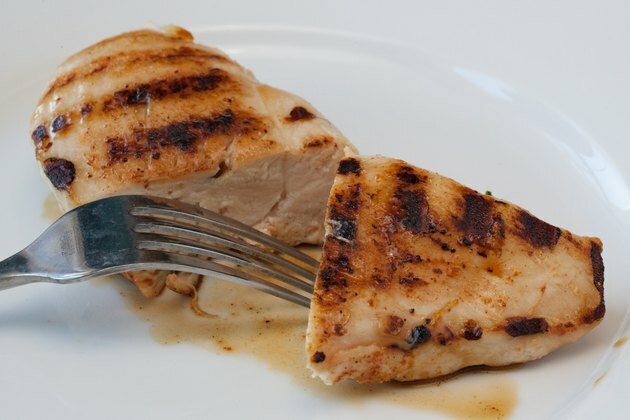 This technique works with boneless breasts or thighs, either skinless or skin-on. Use the shorter time for thin or small breasts, and the longer time for thighs and larger breasts. Drumsticks can be cooked using the same method and usually take about 10 minutes in total. Bone-in thighs or leg quarters can be grilled for 5 minutes on each side to brown them and render out much of their fat, then finished in a 400 F oven for another 8 to 10 minutes.